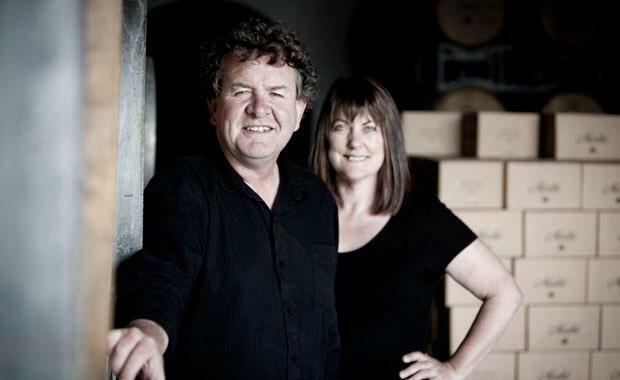 In 2001, Brian Bicknell and his wife Nicola decided to start a small winery in Marlborough, New Zealand. Brian had been making wine in various parts of the world for fifteen years at that point, including France, Hungary, and Chile, and he wanted to lay his roots back home in New Zealand. They started Mahi because Brian had a true passion for the great vineyard sites of Marlborough and felt that the personality of Marlborough was getting lost. Starting in '01 with just a 1.5 hectare parcel, the total production of Mahi is now around 10,000 cases, a tiny amount when compared to the "oil refinery wineries" that Marlborough has become known for. The name Mahi was chosen as it means "your work, your craft" in the indigenous Maori language. For the Bicknells, wine is their passion and their craft, and they aim at creating wines with texture and a sense of place through sorting in the vineyard of their seven estate vineyards, hand-picking, some whole cluster pressing, indigenous fermentations, and minimalist winemaking. James Suckling 92 "Attractive freshness is the key to this pinot gris. The textural build also impresses. Plenty of apple pastry and white peaches. Drink now. Screw cap. Publish Date: Monday, October 8, 2018" Wine Advocate 88 "The 2018 Pinot Gris offers scents of green pears, melons and lime.